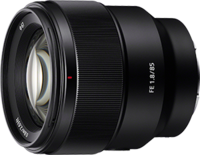 This year at WPPI in Las Vegas, Sony announced the latest fast prime to the Sony lens lineup, the FE 85mm f/1.8. It's a classic portrait focal length, it has a fast f/1.8 maximum aperture and it's going to be available for around $600. The world got a first look at the lens at WPPI and this week, the press got a chance to actually use it. Here are some of the first impressions from the press as they share their thoughts on the performance of this newest addition to the full-frame E Mount lineup. “The 85mm focal length is right in the sweet spot for portraiture, and shooting at the wide aperture blurs backgrounds with aplomb.